Meerkat today updated its app to add a number of new features after the company was cut off from accessing Twitter’s social graph over the weekend. The updated app adds search functionality, so you can find people you may wish to follow. Previously when you signed up to Meerkat for the first time it pulled in everyone you know from Twitter, but now that it can’t the search is a welcome addition. It also means Meerkat can truly start building its own social graph. 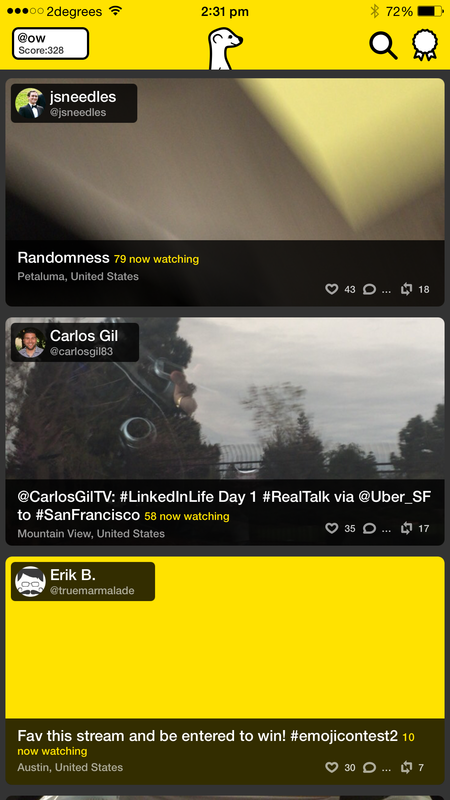 Meerkat has also received an enhanced stream so that you see more live feeds from those you don’t necessarily follow. That way there’s always something to watch, rather than just relying on your friends happening to appear in the stream. There’s also a new tutorial when new users sign up for the first time, along with a number of bug fixes. As Meerkat seeks to compete with Periscope before it’s available to the public, it’s important that it adds social features and begins building out its experience and today’s update starts doing exactly that.